Here are some of the most interesting game news for today in our game digest! Russian developers from Four Quaters said that their new quest Please, Don’t Touch Anything will become available for Oculus Rift and Samsung Gear VR later this spring. 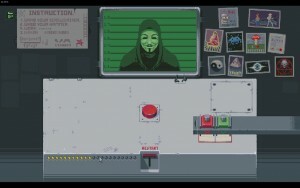 After the game starts, the player finds himself in a room with a screen and a red button. According to the story, the player must not touch anything, but when was it a problem for us, right? Sooner or later we will break these rules. And that’s where the fun begins! The game was released on Windows, iOS and Android with pixel graphics. We expect improved graphics and new features for VR version. Recently, Peter Maulineux said that he wouldn’t mind developing Fable 4. On his own words, he even has got a few ideas for it and if he had time, he would be happy to involve a few people from former Lionhead Studios to make a new Fable masterpiece. Curently, the famous game designer is working on a project called Godus in 22Cans studio. The Banner Saga 2 will be available for PS4 and Xbox One soon. The game was released for PC on the 19th of April. The good thing is that players will be able to transfer their saves from the first game into the sequel. 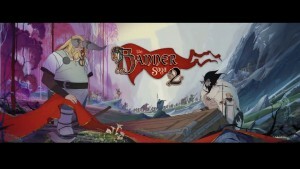 The original Banner Saga was known for it’s marvellous design, story and the depth of the game world. Almost a month after the release date, we can be sure that the second game managed to keep all the good features. 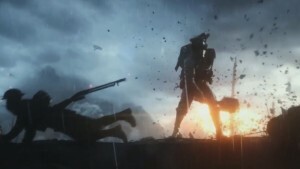 Dice assured gamers that the company had a wide range of firearms to implement into the game during the process of Battlfield 1 development. Chief Design Officer Lars Gustavsson claimed that all weaponry and machinery were used during WWI, so players have nothing to worry about.